Apparently bored with hawking flamethrowers, Elon Musk’s company SpaceX launched the world’s most powerful currently operating rocket into space yesterday with a Tesla Roadster as its payload. It’s an impressive breakthrough in science for sure. But the Bugatti Chiron can hit an impressive speed milestone even quicker than that rocket. And while the Bug’ does have 1,500 horsepower, it doesn’t have the Falcon Heavy’s 1,700,000 pounds of thrust. Here at Jalopnik, we’re all about science. Combustion doesn’t happen without chemistry and engineering, baby. So when we saw this tweet from Evo magazine’s Antony Ingram, we figured we could expand it into a teachable moment and share a short physics lesson. You see, that’s not a weird observation at all. It’s entirely predictable. In fact, Jalopnik’s tame physicist Dr. Stephen Granade was surprised the Heavy Falcon rocket made it to 200 mph that quickly. While tire friction and air viscosity are working against our Earth-bound Bugatti, the car doesn’t have to battle the relentless tug of the Earth’s gravity. It has the road holding it up. And engines that rely on thrust, like jet engines or the rocket engines that power the Falcon Heavy, are initially much slower to accelerate from a standstill. But once they get going, all that thrust would leave the Bugatti in the dust. Especially as the rocket climbs higher, where it faces less resistance on account of the thinning atmosphere at altitude. While SpaceX hasn’t yet published the specific numbers on the Falcon Heavy, when the Falcon 9 its based on is going all-out it can produce 6G of acceleration with a heavy load or 8.5G with a light load. A Bugatti can only dream of such face-contorting speed. But is there a way to make the Falcon Heavy hit 200 mph as quickly as a Bugatti? What about a Bugatti with enough thrust to make orbit? This is where things get trickier. Rocket scientists use something called the Tsiolkovsky rocket equation to figure out the relationship between a rocket motor’s fuel efficiency, how much of the rocket is fuel, and how much change in velocity, or delta V, that rocket can create. “The rocket equation tells us that, the more delta V we want, the more of our rocket has to be fuel, and the less room we have to shoot cars into space.” Granade said. 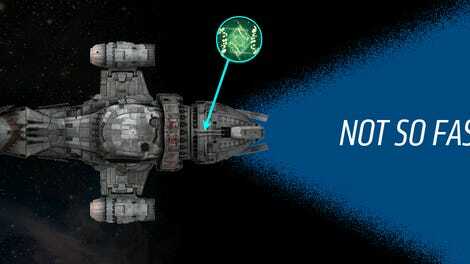 Obviously, escaping Earth’s orbit takes a lot of fuel. This is why traditional rockets are built in stages. There’s no reason for a rocket to spend energy carrying empty fuel tanks, so the vehicle discards the weight of the empty tanks in the spent stages as it reaches orbit. SpaceX is sacrificing some of its payload to ensure that the Falcon 9-based boosters have enough fuel to make a successful landing back at home as well. Reaching speeds faster requires even more fuel, which adds weight, which means you need to add more fuel. 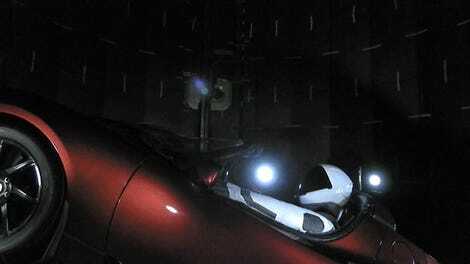 In fact, the vast majority of the weight of the vehicle will be fuel, no matter what you’re launching into space. 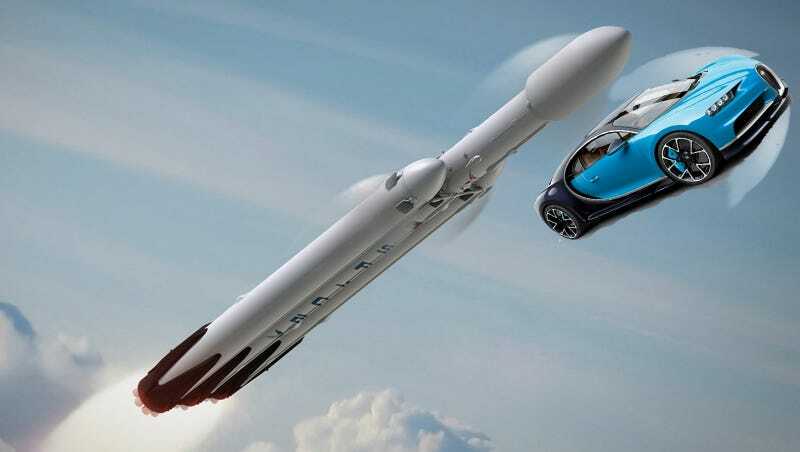 “We might end up with a rocket that is all engines and fuel, and has no extra capacity to carry a Tesla Roadster,” Granade said. Don’t worry if some of this goes over your head. It’s literally rocket science.